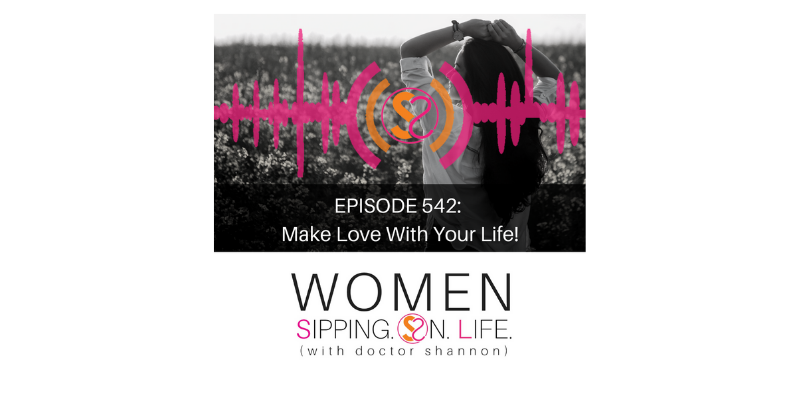 EPISODE 542: Make Love With Your Life! Recently I committed to doing something with good intentions, but wrong timing for the wrong reasons. It hasn’t gone as well as it could have, had my reasons been different. To truly play. On purpose. Are you ready to make love with your life — with the right intentions — for the “right” reason(s)? You’ll know it’s right…if it’s truly working. Love works. Every. Time. Let your life know why you’re here, why you love it, why you’re all in and so passionate about it.